Motorola Droid 4 owners, we are pleased to tell you that a software update is headed your way – the first one since the smartphone was released in February. And although this won't upgrade your device to Android 4.0 Ice Cream Sandwich, it will add a number of more than welcome improvements. For starters, the Motorola Droid 4 power management system has been tweaked resulting in improved battery life. Also, you should notice that the device's Wi-Fi performance has been given a boost, and the keyboard backlight will be active only when the smartphone finds that necessary. Of course, a bunch of minor bugs and stability issues have been squashed as well. 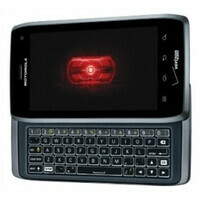 Keep in mind, however, that this Motorola Droid 4 update should not be live just yet. Nevertheless, it is expected to start rolling out within a week, so watch out for that. keyboards are great if you have to stay in touch with a bunch of people, but with grammar like that you probably have no one who wants to talk to you. Get a life, stupid! Nobody cares what you think you twit! Take your ignorance somewhere else, a place where it will be appreciated! Ooops, that's nowhere! You lose! Ha! Physical keyboard phones have become less popular, but that doesn't mean that they deserve to die out. They are a niche market and honestly I think they provide the best texting and emailing experience. With a virtual keyboard you can’t see what’s on the screen while you’re texting because the keyboard covers the screen in landscape view and covers half the screen in portrait view. Plus physical keys are more accurate. i'd want that too but if Moto has any decency a Droid 5 will be a long time from now. who cares about fast refreshes, It's not like it decreases the performance of the one you bought. Motorola has historically released a keyboard version of their Verizon flagship phones within 3-6 months of the flagship release. I personally am excited when manufactures release new devices, I still have a Droid 3 and will have no problems waiting for the 5th generation. What you have to realize is people are eligible for upgrades every day, and on a 2 year cycle there is no way your phone is going to stay relevant to the cutting edge. Wouldn't you rather have a phone that has been released in the last few months instead of one thats already been out for almost a year waiting for a refresh? girlfriends d4 updated already, mine has not..... GRRRRRRRR!!!!!! sad thing is she responds with "My phone updated, but I don't notice anything yet"
Haha seems like you deserve it more than her. It's not a visual update. The battery life is optimized with a new widget and less bugs.